New Horizons Learning Group (NHLG) is an authorized training provider for many industry-recognized software and certification organizations, providing businesses and individuals with the most effective learning experience available in the industry. As an authorized partner, New Horizons Learning Group is required to meet specific standards set by the partnering organization, which may include instructor certification, facility specifications, administration procedures, and customer satisfaction metrics. New Horizons Learning Group also works with organizations in business relationships where we are an officially designated provider of training to meet that organization's business goals. New Horizons Learning Group is proud to belong to certain organization with which we share common goals and information. Every Microsoft course at New Horizons Learning Group follows Microsoft Office Curriculum (MOC), and is taught by Microsoft Certified instructors so you receive the best possible training in Microsoft products. New Horizons Learning Group provides Microsoft Technical and Microsoft Office training and certification. As a leading Microsoft training partner, we accept Microsoft SATV vouchers. Cisco learning partners are the only authorized sources for commercial Cisco training. This means your instructor at New Horizons Learning Group is distinctively qualified to offer Cisco authorized training on the latest developments in Cisco technology, while preparing you to pass Cisco Certification exams. As a member in the CompTIA Authorized Partner program, New Horizons Learning Group provides CompTIA-approved curriculum that is designed for the achievement of industry-recognized CompTIA certifications. CompTIA training and certification at New Horizons Learning Group sets up for successful entry or advancement into an IT career. New Horizons Learning Group has a learning partnership with VMware, a global leader in virtualization and cloud infrastructure. As an authorized VMware training partner, we will prepare you to manage server and desktop virtualization and achieve VMware certifications. New Horizon Learning Group's exclusive IBM training partnership offers IBM authorized training on the design, installation, maintenance, and troubleshooting of IBM software and systems. This partnership allows you to redeem your IBM Education Packs at New Horizons Learning Group. New Horizons Learning Group is a Citrix Authorized Learning Center. Our training gives you real-world skills that you can readily apply to increase productivity with Citrix mobile technology. New Horizons Learning Group is an Adobe Authorized Training Center, which means we present only Adobe authorized training that gives you real-world examples and hands-on exercises so you can become an expert in Adobe's wide range of digital design solutions. New Horizons Learning Group is an authorized ITIL training organization, which means we provide the latest approved material. ITIL provides a set of best practices in IT service management. Brandman University and New Horizons Learning Group work together to bring you accessible, easy and affordable ways to gain the technical knowledge necessary in today’s educational environment. 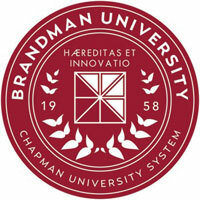 Brandman University and New Horizons Learning Group are able to provide a wide variety of certifications and courses in technology and modern telecommunications with online and on-ground classes offered in various locations. New Horizons Learning Group and SETA International are embarking on a new partnership to bring better business to you. SETA International, the global software and services company, is pleased to announce it has created a network of elite clients dedicated to creating meaningful relationships and ensuring the growth of business after custom software solutions are created. Members of the network are comprised of a select group of companies that SETA has worked with on an ongoing basis and meet a strict criteria. The International Association For Continuing Education And Training's (IACET) mission is to advance the global workforce by providing the standard framework for quality learning and development through accreditation. IACET offers workshops, webinars, downloadable and printed resources, industry research and more to organizations: pursuing training re/accreditation, CE/T benchmarking, and process improvement. As a Registered Training Provider through the PMI Organization, New Horizons has trained over 100,000 project management professionals and associated. New Horizons is a part of an exclusive network authorized to offer PDUS and contact hours approved by PMI. ASQ is a global community of people passionate about quality, who use the tools, their ideas and expertise to make our world works better. ASQ: The Global voice of quality. New Horizons Government Solutions is an active member in the AFCEA community. With over 32,000 members and 151 chapters, New Horizons Learning Group and AFCEA are dedicated to providing premier IT, communications and education for professionals in international government, industry and academia.